This entry was posted in Official Google Blog and tagged Google News Initiative, The She Word on March 22, 2019 by The Official Google Blog. This entry was posted in Official Google Blog and tagged Diversity and Inclusion, Googlers, The She Word, Working at Google on February 27, 2019 by The Official Google Blog. This entry was posted in Official Google Blog and tagged safety and security, The She Word on February 7, 2019 by The Official Google Blog. 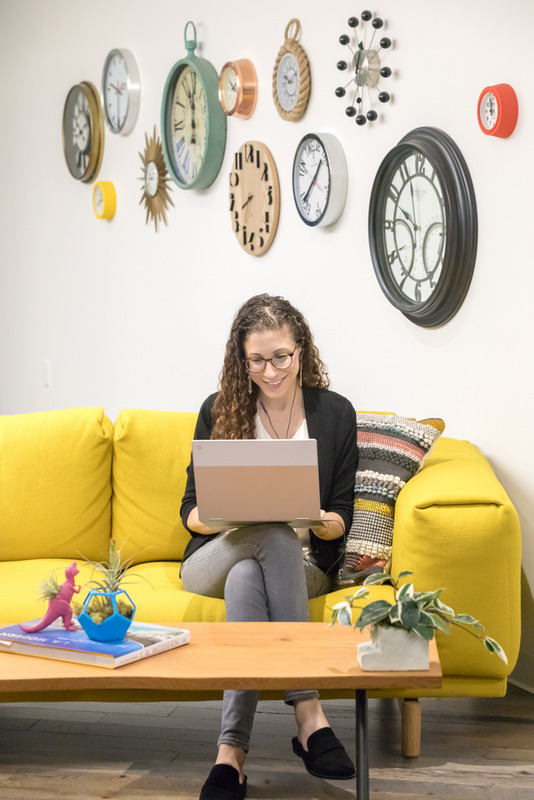 Editor’s note: I often wish there were more hours in the day, but that’s not going to happen anytime soon, so I turned to Google's resident productivity expert Laura Mae Martin for help. In the conversation below—our latest installment of The She Word—Laura shares her secrets on how to lead a more productive life. Turns out they’re not even secrets! They’re easy and manageable ways that you, too, can become a productivity whiz. I help Googlers be as productive as possible. I consult with executives on their productivity strategies (how to manage their meetings, email, time and energy), and run a Google-wide productivity program, which includes trainings and a weekly newsletter. Not the “Laura 30,” just some quality sister time. Laura’s sister is also a Googler, based out of our Ann Arbor office. Every morning I have 30 minutes to myself, I call it the “Laura 30.” No phone, no computer. I just drink my coffee, meditate, journal or play the piano. By taking some time to think, I start off my day in a calm and focused place, and stay grounded before tumbling into my busy day. I’m glad you brought up the m-word. Should we all be meditating? If someone stopped me on the street and asked me how to be more productive, I would say “start meditating.” But the word can turn people off, so I try to make it seem more manageable. Meditation can help with work-related struggles, like focusing in meetings or resisting the urge to constantly look at email. Think of it this way: if you had to cut a thousand pineapples, wouldn’t you spend some time sharpening the knife? The same is true of your brain as you power through activities. Meditation is “mental hygiene” to support your brain in all of its tasks. What’s one thing people should start doing to manage their workload more efficiently? Determine your top priorities for the quarter, and write them on a note on your desk. If you’re asked to do something that doesn’t align with one of those priorities, say no. The more you say no, the more chances you have to say yes to something that really matters. Got it. So if I just say “no” more, I’ll be more productive? Not exactly, but we do need more time to think, and that can mean saying no. You know how sometimes great ideas come to you in the shower? I try to find ways to create more “shower moments” at work. How do we create more of those moments without actually taking a shower? Find the gaps in your day—a commute or waiting in line— and don’t look at your phone. I call this “opening a loop,” which means you’re giving your brain the space to make new connections (shower moments!). When you answer emails or go to a meeting, you’re closing a loop. It’s important to find a balance, so if you say yes to every meeting, when do you have time to open loops? What’s the first step you take when you feel overwhelmed by your workload? First, I sort through my emails and assign an action to each one—could be "need to read" or "respond"—until my inbox is clear. (Pro tip: Spend 15 minutes max minutes sorting your email. If you can respond in less than a minute, do it on the spot. If not, sort it for later). Then, I write down three big things I want to accomplish that day. And then I open only one tab for the thing I’ve decided to work on. Can you pass on some of the productivity strategies that you share with Google executives? Earlier this year, hundreds of Googlers joined you in a “read a book a week” challenge for 12 weeks. What did you learn from reading 3,327 pages about productivity? People who craft their time intentionally and give it their full attention end up where they want to be in the long term. 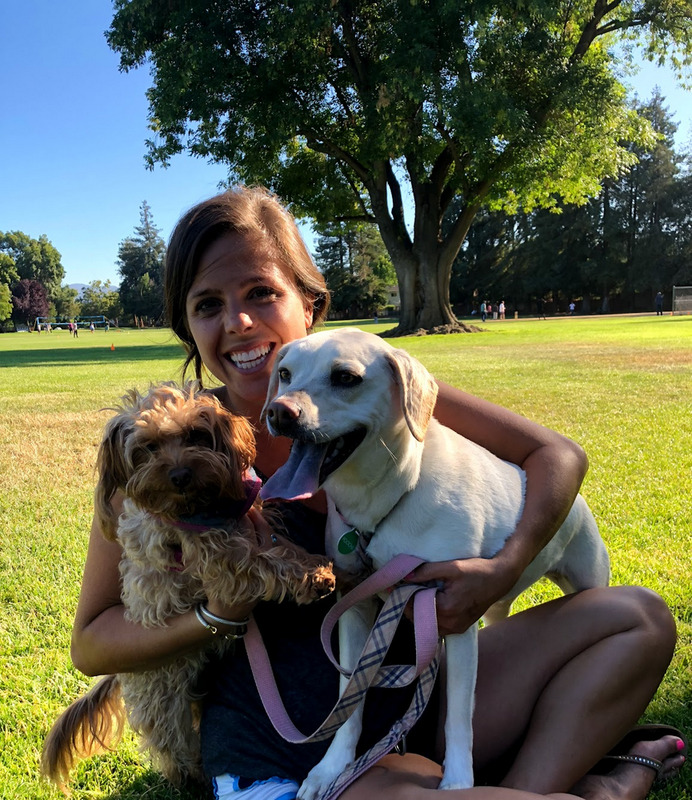 When she doesn’t have a book in her hand, Laura has two pups (Sadie and Nala) in her arms. Is your personal life as organized as your professional life? Because I spend so much mental energy staying productive at work, I try to have more spontaneity in my personal life. Right now I’m doing “No-plans November,” when I don't make any weekend plans until the morning of. To me, that’s work-life balance: not flexing the same muscles at home and at work. This entry was posted in Official Google Blog and tagged The She Word on November 15, 2018 by The Official Google Blog. 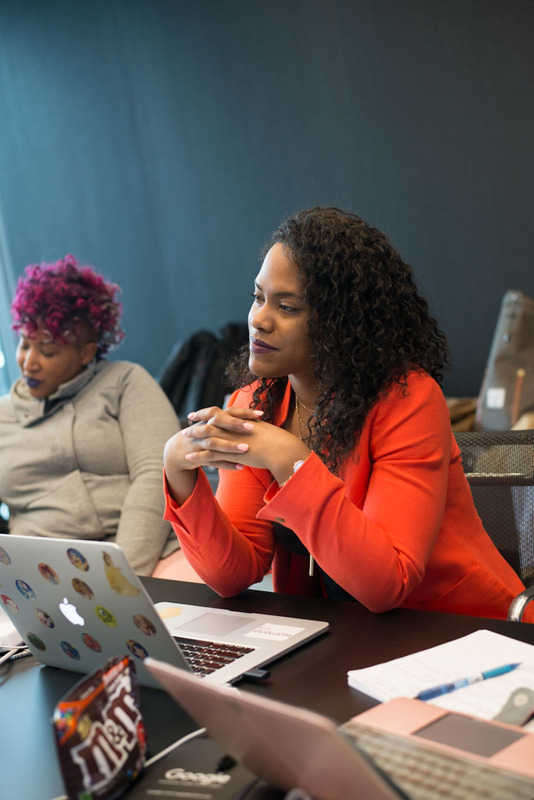 Editor's note: The She Word is a Keyword series all about dynamic and creative women at Google. In honor of National Disability Awareness Month in the U.S., we’re talking to Laura Allen, a program manager for Chrome accessibility. 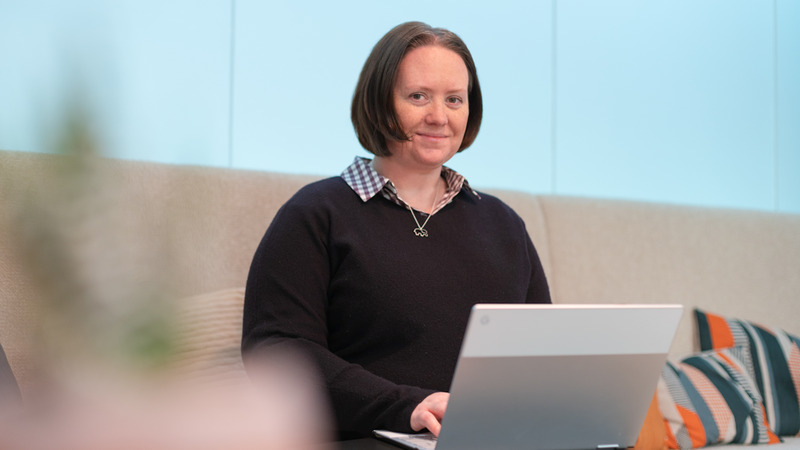 Laura shares how technology changed everything for her, and how she is working to level the playing field for everyone with more accessible technology. I help make Chrome and Chrome OS more accessible to everyone, including our users with disabilities. How does that show up in Google products? I work alongside product managers, designers and engineers to integrate accessibility into our processes and develop assistive technologies like magnification options, Braille support and dictation in Chromebooks. How has technology been a force for good in your life? I have a rare visual condition that caused me to lose central vision in both of my eyes right before I started high school. All of a sudden, I couldn’t read textbooks, see the classroom board or recognize my friends’ faces in the hallway. After school my family would read my classwork out loud to me, and my dad would teach me math. It was the definition of dependence, but at that time, there was no other way. Eventually we started stripping the pages out of textbooks and scanning them, so I could use text-to-speech software to do my classwork. The process was messy, but it changed everything for me. It was then that I realized the true value of technology and how it could pivot the trajectory of someone’s life. Pay attention to what makes you tick. Take note of what makes you excited, then try to add more of that to your life. 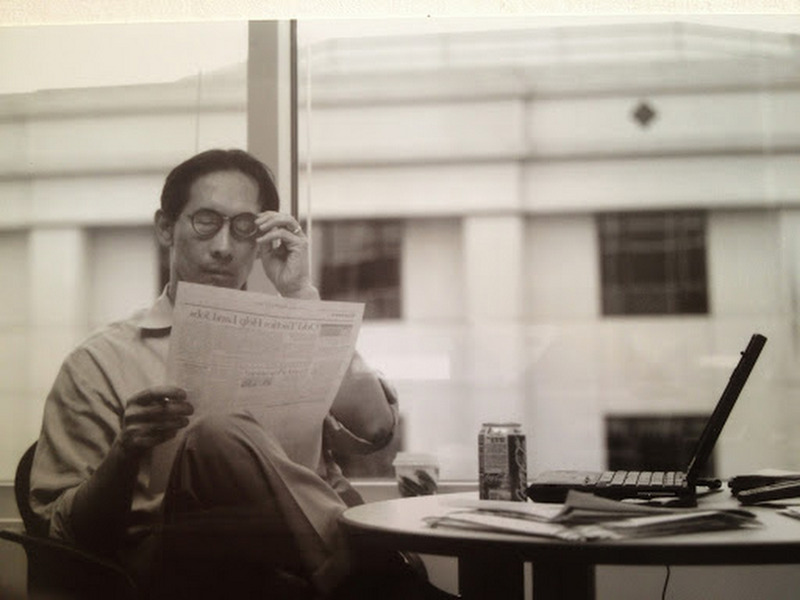 Initially, I worked in sales at Google and focused on accessibility as a 20 percent project. Working on accessibility filled me up with a different kind of energy that I hadn’t experienced before. I had to listen to those signals to get to where I am today, and I’m so thankful to be here. 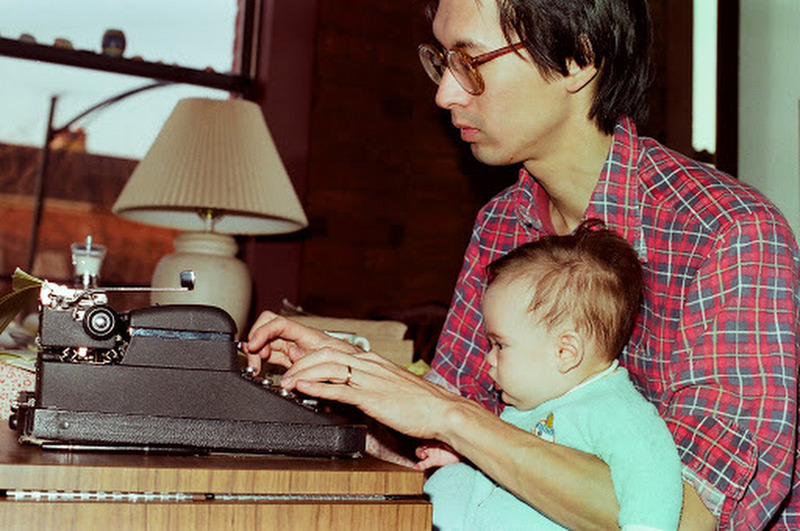 I was so lucky to have my family to help me overcome those initial hurdles and navigate the world of assistive technology to regain my independence, but not everyone has that kind of support system. We can’t leave the opportunity for success and fulfillment up to chance. I see technology as a great equalizer—if we can improve access to the world’s information and build with accessibility in mind, then we will be that much closer to creating a truly level playing field for all. I write down what I want to create space for each week, then I block time on my calendar to dedicate to those things whether it’s something I want to research or an old friend I want to reconnect with. This might be sappy, but I have to say my mom. She has always led by example and focused on the positive. She is a physical therapist for newborns and young children with developmental disabilities. The level of impact that she has had in her life is truly unbelievable. I always think of her dedication to people as individuals, and the amount of heart she puts into her work. This entry was posted in Official Google Blog and tagged accessibility, Googlers, The She Word on October 11, 2018 by The Official Google Blog. 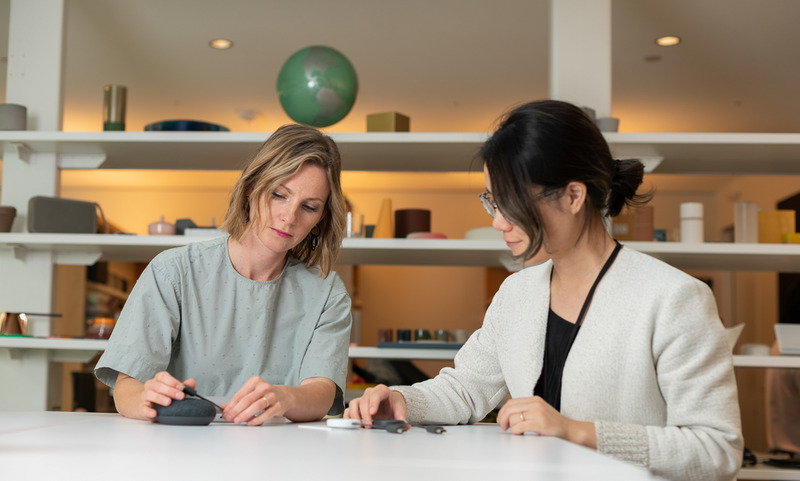 The She Word is a Keyword series all about dynamic and creative women at Google, and we recently spoke to two women behind the design of the new Chromecast, which hit shelves this week. 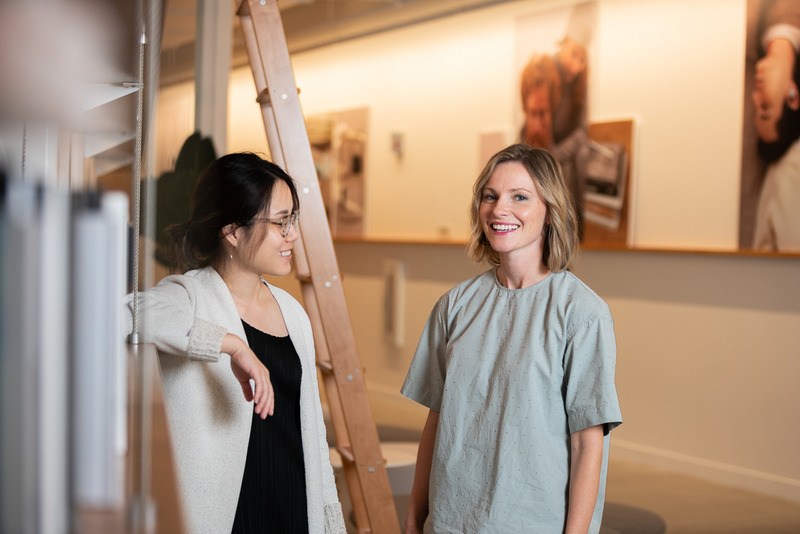 Diana Chang and Katie Morgenroth are industrial designers tasked with designing hardware that fits naturally into your home. Below, we share how they tackle that challenge, as well as what’s in store for our favorite macaron-sized Made by Google device. Elisabeth: How do you explain your job at a dinner party? Diana: I make tech less intimidating, more approachable, and easier to use—building a bridge between the consumer and the technology they’re using. Katie: These days, I’m focused on creating the conditions to help our amazing design team feel inspired and supported to do their best work. Framing design sprints, working closely with engineers to unblock challenging constraints and collaborating with the team to ensure our products are harmonious and beautiful are all in a day's work. Diana (left) and Katie (right) in their office at Google’s headquarters in Mountain View. What are you most excited about with the new Chromecast? How is it different than what we’ve seen before? 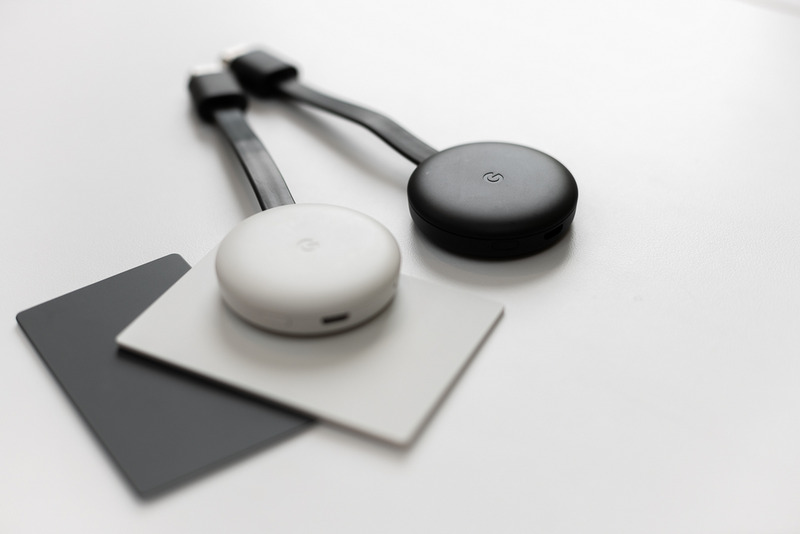 D: Chromecast was our first-ever Made by Google product, and the foundation of our Cast technology. It was created way before our other hardware products, so we’ve updated the new Chromecast to make it look and feel more a part of the Google hardware family. It’s a small device, and the biggest improvements are actually in the tiny details. And those details can say a lot about a brand and how much we care about the people who use our products. K: The new design of Chromecast is all about simplicity; it looks like a little macaron. And it’s coming out in two new colors—Chalk and Charcoal—to match other devices in the Made by Google family. With all of our hardware devices, we want to make sure that they feel like they’re a part of your home. D: And because of the low cost (it’s still $35! ), Chromecast remains an easy entry point for people to experience the power of smart home entertainment. Here it is! The new Chromecast is now available in the U.S., Canada, U.K., the Netherlands, Denmark, Norway, Sweden, Finland, Australia, New Zealand, Japan and Singapore, with more regions to come. In the U.S., you can buy it for $35 at the Google Store, Best Buy, Target, Walmart and even more retailers. What sets Chromecast (and Made by Google products) apart from other devices? D: The design language: it’s the reason I wanted to join Google. We’re making tech that is approachable, human-centric and easily blends in with other things in your house. K: Echo Diana. Our aesthetic is taking a counter stance to what we traditionally think about when we imagine technology. We are carefully designing our products to look beautiful as a family or individually. How would you describe Made by Google design aesthetic in one word? K: Can I have two? Approachable and optimistic. D: I would love to hear our customers describe it as sincere and honest. What’s a challenge you face as an industrial designer? D: Design is a form of art—unlike math, there’s no way to quantify if design is good or bad, right or wrong. And sometimes, it’s hard to explain a design decision to logical thinkers. Do you do other types of art too? D: Yes, art is a stress release for me—you don’t have to worry about specs or cost or whether people will like it. I love ceramics because every piece is unique. Clay has its own personality–you can’t really control it like plastic, rather, respect, understand and work together. D: Hmm, well it’s hard to evaluate what “successful” means, but I’ll tell you what makes me different: my background. Growing up, I moved a lot and lived in different countries. Industrial design is a highly diverse field, and each of us brings a bit of our culture and background to the table. I make it a point to go to one new country every year—it helps me get a different perspective and think outside the box. K: This is a more boring than Diana’s answer, but I am an avid notetaker. I’m always distracted by something and I need to take notes to keep my inspiration and ideas organized. My wrist is a common spot for quick thoughts and I couldn’t live without Google Keep. I also sleep with a notebook beside my bed, just in case an idea pops up in a dream. K: Struggle through the uncomfortable time until it makes sense. Was there a time that you had to apply that lesson while designing Chromecast? K: Oh, definitely. We had to work through a lot of tricky requirements in order to keep the size compact and form simple. As often happens, our original intent evolved a bit, but we love the final result. As designers, we pride ourselves on our ability to keep an open mind and meet challenges with opportunities. This entry was posted in Official Google Blog and tagged chromecast, The She Word on October 10, 2018 by The Official Google Blog.